Julie Bolder, It's a Grind! Following a career in artist management in the music business, Julie went looking for the next thing to do with her life: something interesting, artistic, and adrenalin charged. 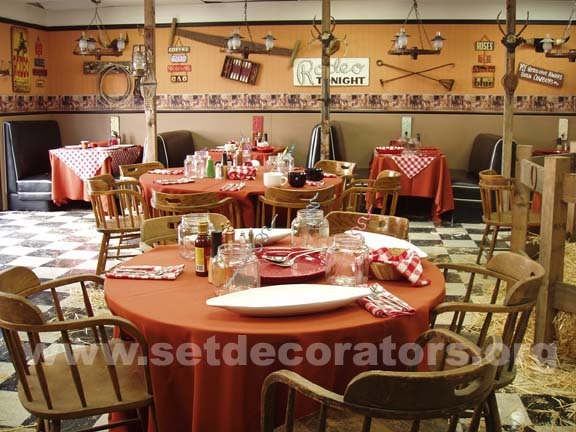 Set Decorating filled the bill. After earning her BA in Motion Picture/TV production from UCLA, it did not take long for Julie to become known for her versatility. She could effectively transition from the production design of underwater Sea Bases and Space Stations to set decorating the chilling world of Charlie Manson in Helter Skelter. 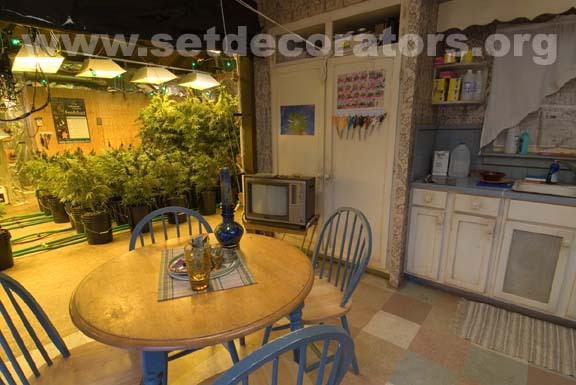 Julie’s broad scope of imagination is key in her current decorating project, “Weeds.” Sets can range from typical suburban homes to the veiled operations of a marijuana growhouse. 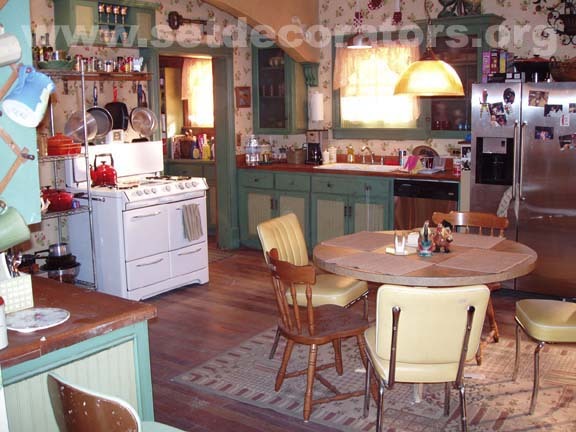 Research plays a large part in her work at “Weeds”, as the producers require the sets to be both visually interesting and technically accurate. 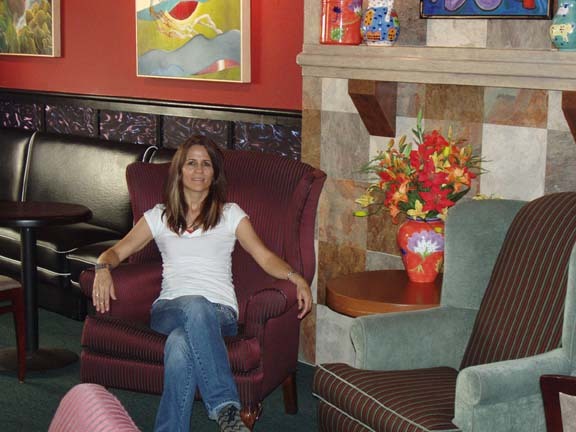 During the second season, Julie consulted with many “heavy hitters” in the business to decorate the “Mohasky Cup,” a convention for marijuana growers and aficionados. During hiatus Julie maintains a home in Bend, Oregon, where the Pacific Northwest lifestyle offers a fresh perspective. Whatever project she takes on, or wherever she is, Julie is always on the hunt for the next inspiration piece. Julie Bolder is a member of Local 44, the Art Director’s Guild, and the SDSA. I’m always taking classes. I went to UCLA for Motion Picture /TV Production. Then some graduate work, also at UCLA, in animation. Art studies are a constant for me, either through extension classes or private studies. 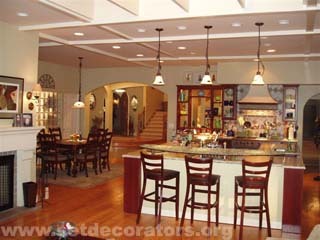 And interior design has just been my private passion, so I read everything I can about new styles, trends, the classics. Hands down, that has got to be the internet. It seems every day I am searching for something new online. “Weeds” is definitely a favorite. You can just imagine all the interesting things I’ve learned from the technical advisors on this show! Who knew? Plus the people are great. “Helter Skelter” I enjoyed because of the challenge of being accurate to an actual event and time period. And designing “Power Rangers” was a kick. Each season was a completely new fantasy world. Maximum creativity required there. Anytime I help create an entirely unique world it’s just great fun. And the shows with the best crews are always the most memorable. Making the transition between working and having time off. 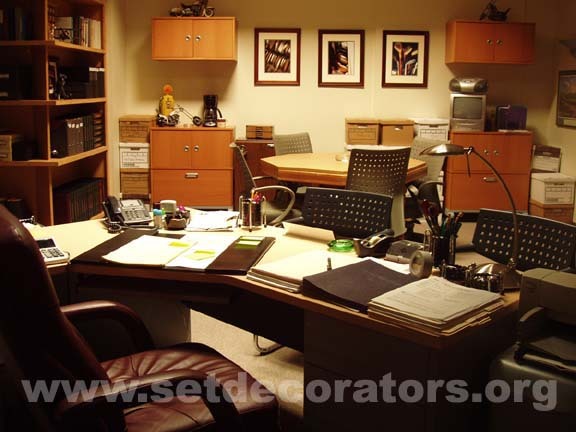 Set decorating work is so intensive that when it ends, it can be a shock to the system. Keeping the faith that the phone will ring and the next job will be there, so it’s ok to relax is a tough one, too. Oh…and having a truckload of silk marijuana custom made and shipped from Florida with very little lead time was a bit of excitement! You know, there are so many. My sets vary so much and so do the vendors I need to use. I’ll use all the resources I can find. Just to list a few…Warner Bros, Hollywood Studio Gallery, Tic-Tock Floral, FantasyEyeland Balloons, Designers Portfolio, Karen Somers Photography, Omega, EC props, the list goes on. SDSA is my best resource for finding new vendors. Three furnie pads, a warm jacket, a Thomas Guide (I haven’t graduated to a guidance system yet), dog leashes, half a dozen water bottles and an embarrassing amount of junk. I feel like I live out of my car. Whew. That’s a tough one. I’m still looking for some advice myself, ha-ha. Please let me know if you have any…. Definitely my digital camera; I go nowhere without it. The desktop photo printer; I need the speed. And all the tear sheets I intuitively collect so I can pull one out at a moment’s notice and offer an idea. Go to the SDSA meetings at the different vendor’s stores. It gets you out to places you might not otherwise know about. 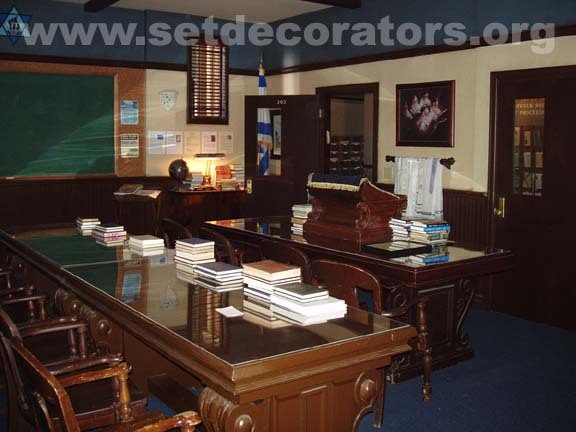 I have found so many set pieces that way, and I’ve met other vendors that two months later when I’ve needed something specific, I can find that business card and so right to the source. It’s been very valuable to me.